LIUNA Local 120 members were key partners in setting three new World Records in tunnel construction. 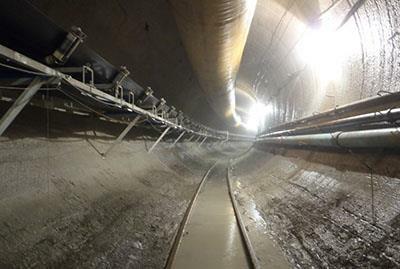 The new world records occurred on the $180 million dollar Deep Rock Tunnel Connector project, the first of five tunnels in the Citizens Energy Group combined sewer overflow project. In 2011, Local 120 and J.F. Shea Construction, Inc. and Kiewit Infrastructure Company signed a partnership agreement to create approximately 80 new jobs for local area residents. The majority of the workers on the project are members of Local 120, including the operators of the Tunnel Boring Machine (TBM). “We are extremely proud of our members for their hard work and dedication in becoming world record holders for tunnel construction, but also for their outstanding dedication to safety on the job. When we engage in partnerships such as we have with Shea-Kiewit, it benefits everyone – the workers, the company, Citizens Energy Group, and most of all, the Hoosier economy. We are fully committed to developing partnerships which create Hoosier jobs and build a brighter economic future for Indiana,” said Ward Daniels, Business Manager of LIUNA Local 120. The project is approximately a year ahead of schedule and the tunnel excavation nearly 80% complete. The Deep Rock Tunnel Connector is 18 feet in diameter, 250 feet below ground and once completed will be eight miles long. The Deep Rock Tunnel Connector is the first in a tunnel system called DIG INDY, which is being constructed underground to reduce Indianapolis' combined sewage overflow problem. DIG INDY will span 25 miles and will capture and store 250 millions of gallons of raw sewage for treatment. Members of International Union of Operating Engineers Local 103 are also working on the Deep Rock Tunnel Connector project.